Becoming the Quiz Master: Games to test your Brain! 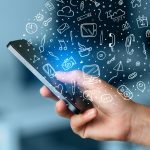 Since the beginning of mobile gaming there have been a number of steadily popular themes, from photography to endless runners, arcade style apps and even trivia or brain teaser games. In 2013, the app 4pics1word took the mobile and social networking world on a whirlwind tour of just how popular and addictive quiz based games can be – even if they are short lived. The great thing about quiz or general trivia games is that they’re easy to play on the move and users can generally close down the app and pick up from where they left off, making them the perfect candidate to be successful on a mobile gaming platform. 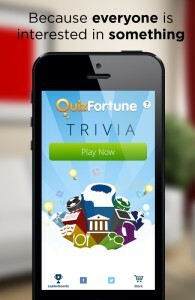 In 2014 QuizFortune Trivia is said to be the next big thing for iOS users, however it’s going to be a tough fight taking away the spotlight from QuizUp, who have mustered 10 million players since the launch of the game from Plain Vanilla Games in November 2013. One of the main attractions that hook people to quiz based games is not only the ability to test their knowledge, but to also challenge their friends via social networking platforms such as Facebook. QuizFortune Trivia incorporates this feature for iOS users and also offers a higher number of ways to personally challenge yourself, with bonuses for answering the trivia question in the shortest timeframe. The app also allows users to pick and choose their category, with everything for literature to sports, enabling you to succeed within your area of expertise or step outside your comfort zone in the bid to learn something new every day. QuizFortune Trivia is a free to download app available for iOS users and with more than 100, 000 questions in the game, developers hope that everyone will find something that’s both challenging, enjoyable and, of course, a little bit addictive.